"Homer is shown pulling out his hair when he finds out Marge is pregnant with Lisa in one episode, but in another he seems happy with the news." We asked the BuzzFeed Community about the biggest Simpsons fails they've spotted. Here's what they said. 1. Blinky appearing on Homer's shirt before it was discovered. "The episode 'Fland Canyon' was a flashback episode set before Homer and Marge had Maggie. That means Blinky would not have yet been discovered. So it seems inaccurate that Homer would have on a Springfield sweater on with Blinky on it." 2. Homer is shown pulling out his hair when he finds out Marge is pregnant with Lisa in one episode, but in another he seems happy with the news. "In 'Maggie Makes Three' Homer is shown in the house screaming and ripping his hair out when he learns Marge is pregnant for all three kids. But in Lisa's 'First Word', they just moved into the house when Lisa was born. They lived with Bart in an apartment and Homer seemed pleased when told about Lisa." 3. Ned and Homer met once as teens, and again in adulthood. "When Homer and Marge are teens they know Ned Flanders, and when they move next door to them they had never met before." "In the episode where Homer buys Lisa a pony and all the other kids are watching her Ralph says something like 'Yes, but what man can tame her?' but it’s the voice of Nelson. Annoys me every time!" "I don't remember which episode this was, but the earlier episodes had some goofy animation mistakes. This one was the best. Ned's neck isn't in his shirt, he has no nose, and the space in his finger circle is empty." "Bart is allergic to shrimp, yet on several episodes, you see him eating shrimp. If they can be consistent with Lisa’s vegetarianism, this shouldn’t be too hard to include." "Honestly, its the layout of the house I keep having an issue with. The TV keeps changing room and the kitchen keeps connecting to different rooms! 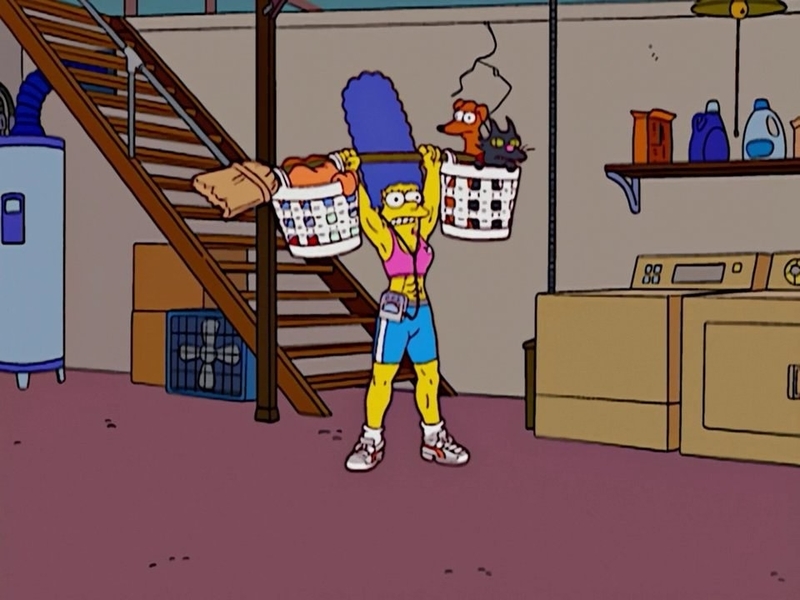 Also that episode where Homer chokes Bart through the back wall of his bedroom - but that wall is the end of the house and Bart's bedroom is the OTHER side. And lets not even get started with the basement - its size and features change depending on the plot." 8. And the vanishing rumpus room. "There are a couple of episodes where the mysterious rumpus room is shown, but it always changes locations!" 9. The power plant's timeline changing. "I love The Simpsons but my god in flashback episodes there are so many inconsistencies! The power plant was seen in the background when Homer was a kid, another time Carl said he got the job the day the plant opened." 10. Homer and Marge's marriage not lining up with Bart's age. "Homer and Marge met in high school and I’m pretty sure they got pregnant/married not long after? But, in the “present” Bart is 10 and Homer is 36 (I think). Shouldn’t Homer and Marge be in their late 20s?" 11. Milhouse's first kiss changing. "I can’t remember the exact episode now, but Milhouse got a crush on a girl, which made Bart jealous and he tried to sabotage the relationship. At one point, Milhouse cries out, 'My first kiss!' But it wasn’t. He actually had his first kiss in another episode a lot earlier in the series." 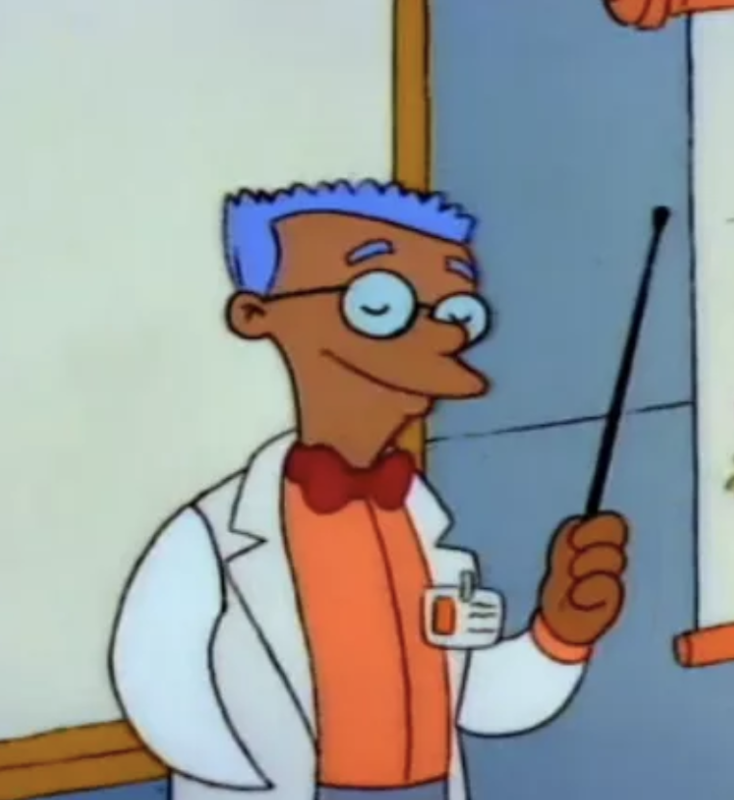 "When the show started Smithers was black, but the character changed a few episodes in." 13. 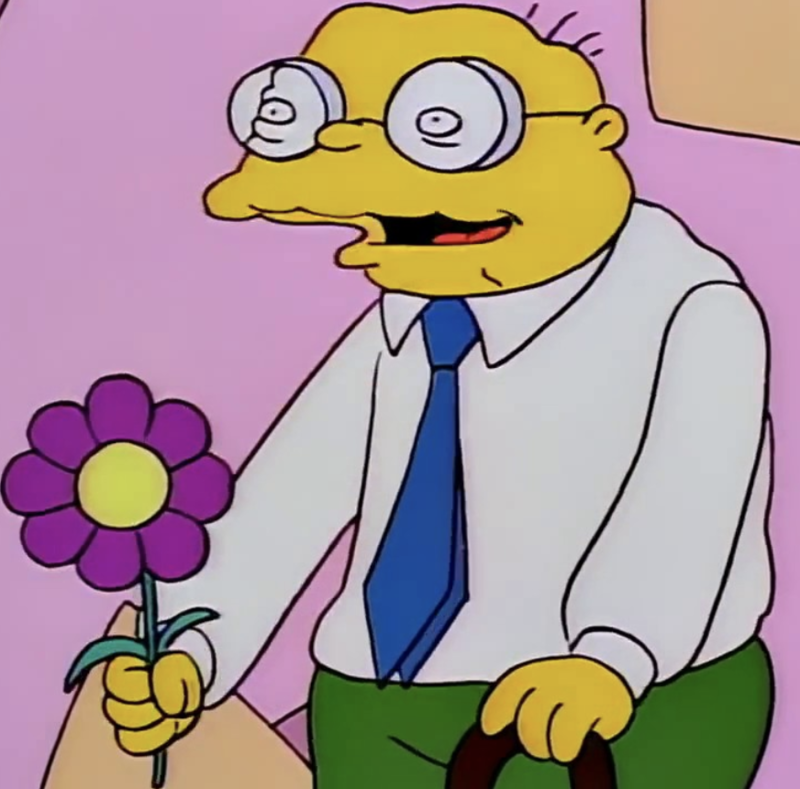 And Hans Moleman's ethnicity changes too. 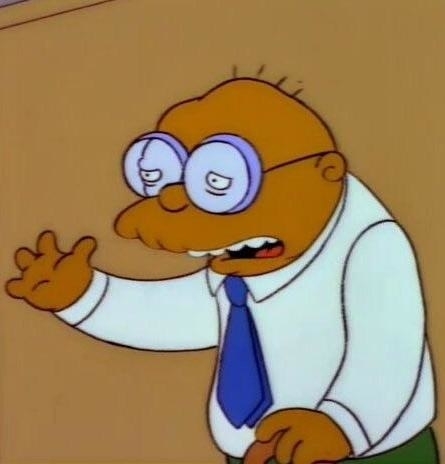 "I believe Hans Moleman’s ethnicity was different for a couple of episodes." 14. The changing timeline of Santa's Little Helper. "They got Santa's little helper when Bart was 10, and then shown in a flashback when he was 2." 15. 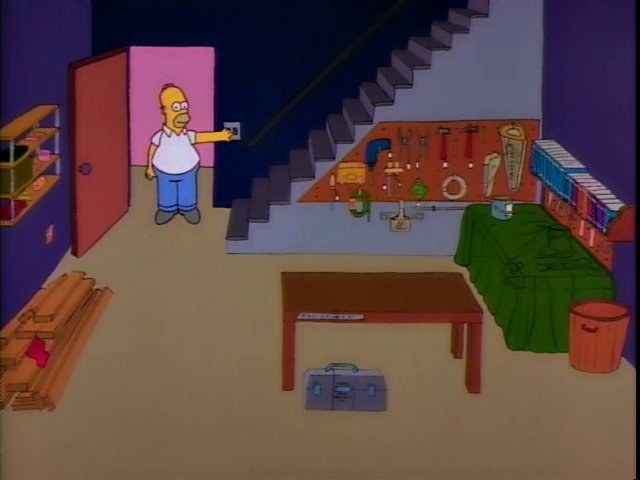 Abe Simpson's service changing places. 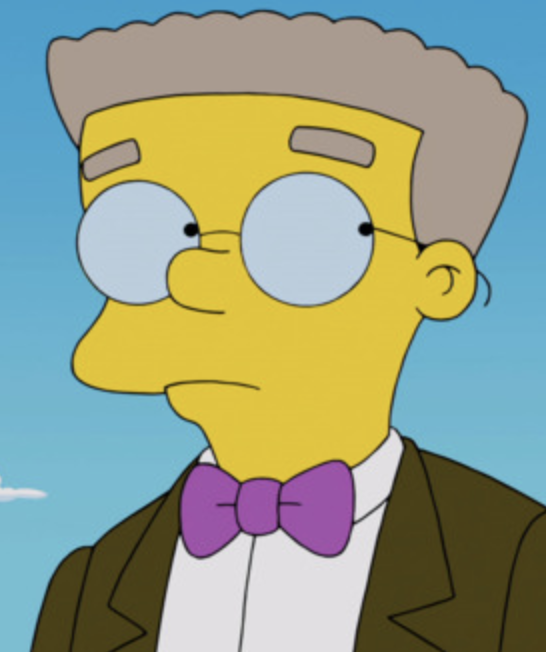 "In one episode, I think it was Christmas episode, they had Abe Simpson, during WW2 in South Pacific flying airplanes and then getting stuck on island with Mr. Burns. Then recently, they showed Abe in over in Europe." 16. Flanders' age is inconsistent. "If Flanders was 60 years old in 1999 (see 'Viva Ned Flanders') it’s pretty unlikely that his parents would have been beatniks (See 'Hurricane Neddy' and others)." 17. There's a picture of Maggie on the wall when Marge is pregnant with her. "The only one I can think of is the flashback of when Marge was pregnant with Maggie but there’s a photo of her on the wall." Some submissions have been edited for length and/or clarity. Want to be featured in similar BuzzFeed posts? Make sure to follow the BuzzFeed Community on Facebook and Twitter!